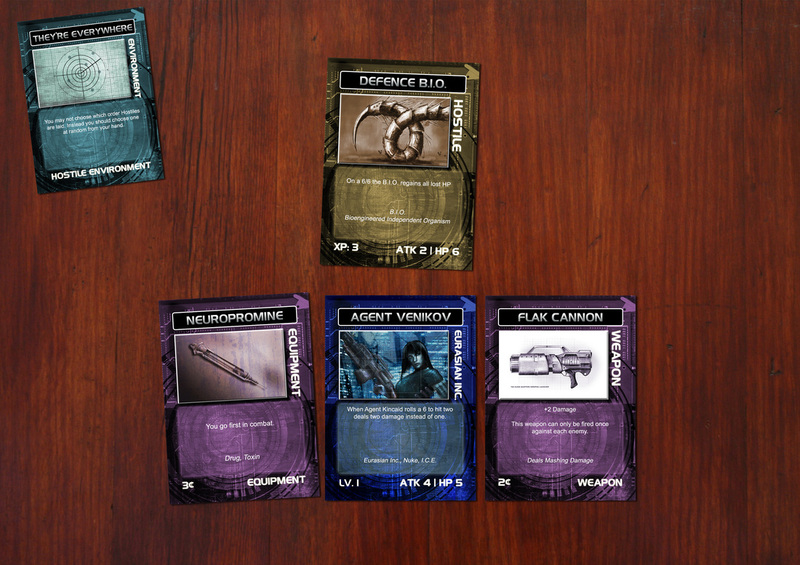 Bloodstorm is a co-operative card game set in the Corporation universe. Between one and four players take on the roles of cybernetically augmented Agents as they fight their way through installations brimming with genetically created monstrosities, rival Agents, murderous droids and lethal defences. Collect equipment and use brutal tactics to butcher your way to mission success. The game includes 60 premium cards and takes around half an hour to play. You will need five six-sided dice to play. Instuctions can be download via the linked PDF or from the website www.corpgame.com. This title was added to our catalog on November 30, 2013.